Klasse 150 togsæt ankommer fra "Little North Western Railway". Settle & Carlisle strækningen er bag den. 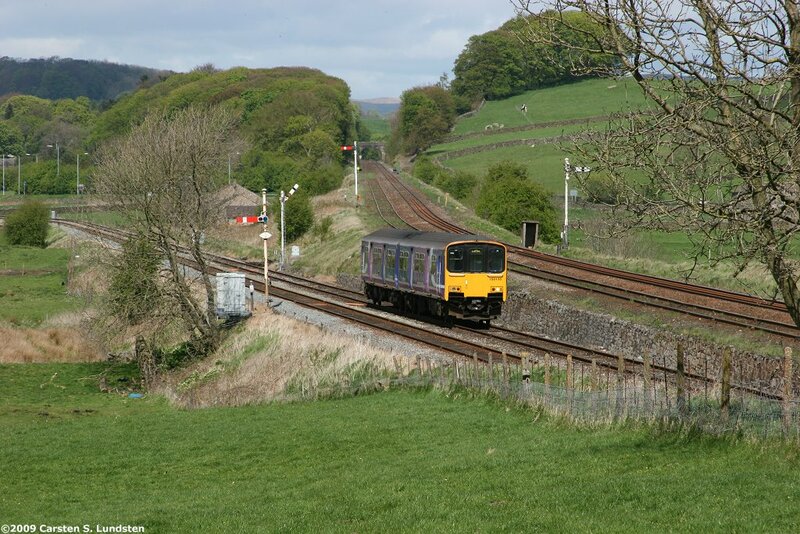 Class 150 DMU arriving from the "Little North Western Railway", the Settle & Carlisle behind it.